This airplane is the foundation of our training fleet, and is also available for rental and scenic flights. Pilots enjoy the simplicity of a basic training airplane, plus the extra performance afforded by the upgraded 180 horsepower engine while flying in our high density-altitude environment. Our high-performance Cessna 172 is the perfect match for pilots desiring to take the next step up in their training. The extra horsepower and constant-speed propeller make this a great cross-country choice for renters, and the IFR Garmin 430 GPS provide an excellent platform for instrument training. Our scenic flights are generally flown in this airplane. The Husky is manufactured in Afton Wyoming, just 62 miles south of Driggs. 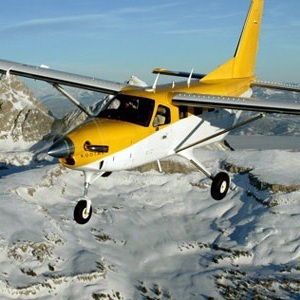 A well-known backcountry plane, the Husky is our tailwheel trainer. While the Husky is available for dual instruction, it is not authorized for solo rental flights.